One of the biggest misconceptions about liposuction is that it is a weight loss surgery. Once you undergo liposuction, the weight will be gone and won’t come back, right? Unfortunately, this isn’t quite the case. 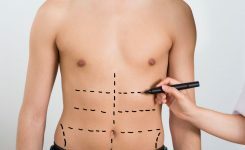 So what exactly does liposuction involve, and how can you maintain the results after your procedure? Liposuction is a cosmetic procedure which removes stubborn excess fat from various areas of the body. However, most people are not aware of the different types of fat which is stored in our body. Subcutaneous fat: Liposuction removes subcutaneous fat, which is located right under the skin. If you can see or pinch the fat, that will be subcutaneous. Everyone has subcutaneous fat, however, lifestyle choices will impact how much fat there is. This fat is generally considered to be harmless and will not necessarily cause health problems. Instead, it can cause aesthetic problems as the fat is visible. Visceral fat: this type of fat lines the organs in the body. Unlike subcutaneous fat, it cannot be removed through liposuction. Visceral fat can cause additional health problems such as heart disease or high blood pressure. Liposuction will remove subcutaneous fat from certain areas of the body. This could be the abdomen, hips, buttocks, thighs or arms, to name a few areas. 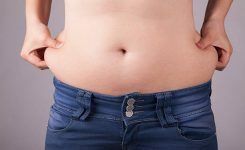 Once the liposuction has been completed, the fat cells from the target area would have been removed, and these fat cells will not return. However, you will still have fat cells in areas of the body which you did not have liposuction. This means that you will still be able to gain weight in those areas of the body. If you had liposuction on the abdomen, you will still be able to gain weight on your hips and thighs. You will also still have visceral fat in the body, which can make you appear as if you have gained weight. We understand that choosing to undergo liposuction is a big decision, and you will understandably want the results of your procedure to last as long as possible. So what steps can you take to help you maintain results? Liposuction is generally recommended for those who have already lost weight and now have stubborn pockets of fat which they are unable to lose. Unfortunately, having liposuction does not mean you now get to avoid exercise. Instead, you will need to follow a consistent exercise regime. This will help you to avoid gaining weight in the areas that were not treated. While it is recommended that you engage in exercise, remember to follow your surgeon’s instructions during the recovery period. In the first few weeks following your liposuction procedure, you will need to avoid strenuous physical exercise, including any heavy lifting. You will be encouraged to undertake light physical activity such as walking in order to encourage good blood circulation. Your surgeon will be able to tell you exactly what activities you should avoid and for how long. It is important to follow these instructions in order to avoid any post-op complications. Once the recovery period has finished, you should resume your regular exercise regime. Try to include some form of physical activity into your daily routine. This will help you to maintain the liposuction results and avoid gaining weight. As well as a good exercise regime, you should also follow a healthy diet. You should try and avoid foods which are high in sugar and saturated fats, carbohydrates and processed foods. Instead, try and increase your intake of vegetables, fruits, whole grains and lean meats. Make sure your diet includes enough protein and fibre. Make sure to be aware of how you are cooking your food – you may wish to avoid deep frying and using butter. Eating several small meals throughout the day will not only help to maintain energy levels and keep you sustained, but it will help you to avoid snacking on unhealthy food. Keeping your post-op body doesn’t just depend on what food you eat and how active you are. Your water consumption also has an important role to play. Drinking enough water will help to maintain a good metabolism and will help with your digestion. Try drinking water before you have a meal – this can help to make you feel full, which can help you to avoid overeating. It is generally recommended that you consume eight-ounce glasses of water per day, however, this will vary depending on factors such as your body type and metabolism. You don’t need to just have a good physical diet – you need to ensure you have good mental health as well. Stress can actually cause you to gain weight. When your cortisol levels are raised, you will begin to crave unhealthy foods. To avoid being in a state of stress, you will need to learn how to relax and dedicate some time during the day just to focus on you and your health. Exactly what helps you relax will vary from person to person. Some people will enjoy meditation and taking a bath, while others will find physical activity such as yoga will help to alleviate stress. Ensuring you have a healthy lifestyle will help to ensure you will be able to maintain results after liposuction. Are you interested in undergoing liposuction? Contact London Lipo Institute today to find out more information or to book a consultation.